Credit to 7kolt for Deck submission. 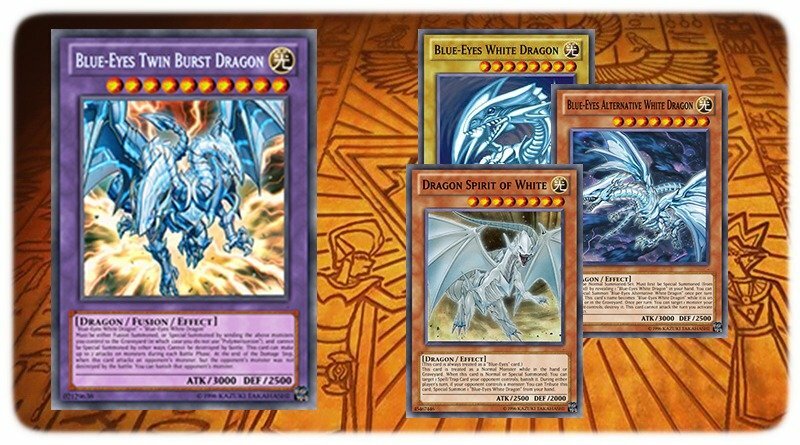 Being able to summon Blue-eyes twin burst dragon, as well as Blue-eyes Max chaos dragon. Azure for protection and dragon spirit of white for S/T. Multi-Combos Able to use maiden and sage together to summon two blues eyes, able to use it to summon an xyz, or twin burst. Able to summon max chaos easily with search(awakening). Also use ancients for discard or shrine. Well Twin Burst is good and all, but Blue-Eyes Choas MAX Dragon takes the cake. 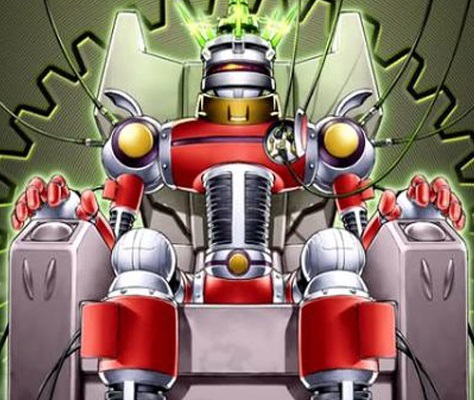 He will be a primary card to summon. It combos well with Quaking(sandstorm) Mirror Force. More fusion oriented now. Removed 2 advanced ritual art, removed 1 maiden, 1 deep eyes, 1 blue-eyes chaos, removed 1 quaking(sandstorm), 1 trade-in, removed michael, lightsworn lord. 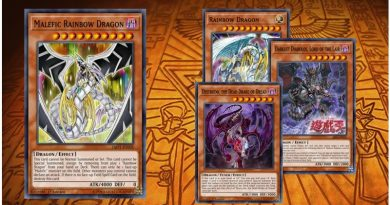 Added 2 dragon’s mirror, 2 solemn strikes, 1 vanity’s empitness, 2 neo blue-eyes ultimate dragon, 1 Hieratic Sun Dragon Overlord of Heliopolis. Added a few basic situational cards to the side deck. Still the most popular deck on the site by a long margin. 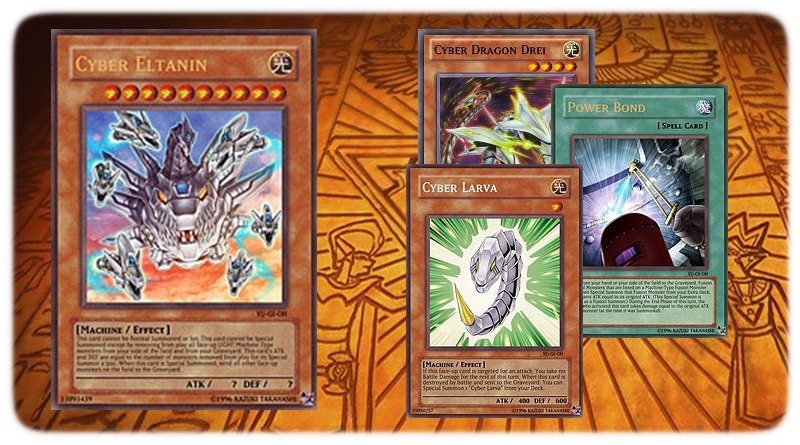 I recommend adding another level 7 LIGHT dragon type synchro monster in the extra deck, such as Black Rose Moonlight Dragon or Ancient Fairy Dragon, just to make Crystal wing easier. 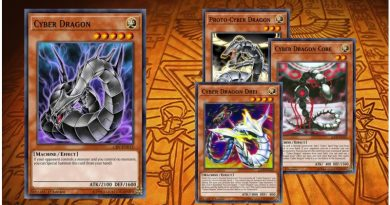 Galaxy-Eyes Dark Matter Dragon should be a good fit for the extra deck – milling stone of ancients and Chaos Max to the graveyard when summoned to potentially take Max, normal blue-eyes or blue-eyes alternative back to the hand next turn by banishing the stone. 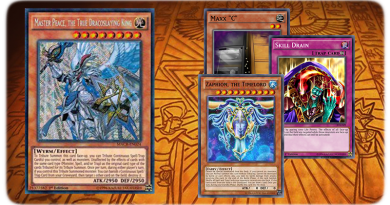 Play sth like Blue-Eyes Chaos Max or Linkuriboh to make the deck more poverful and stronger. 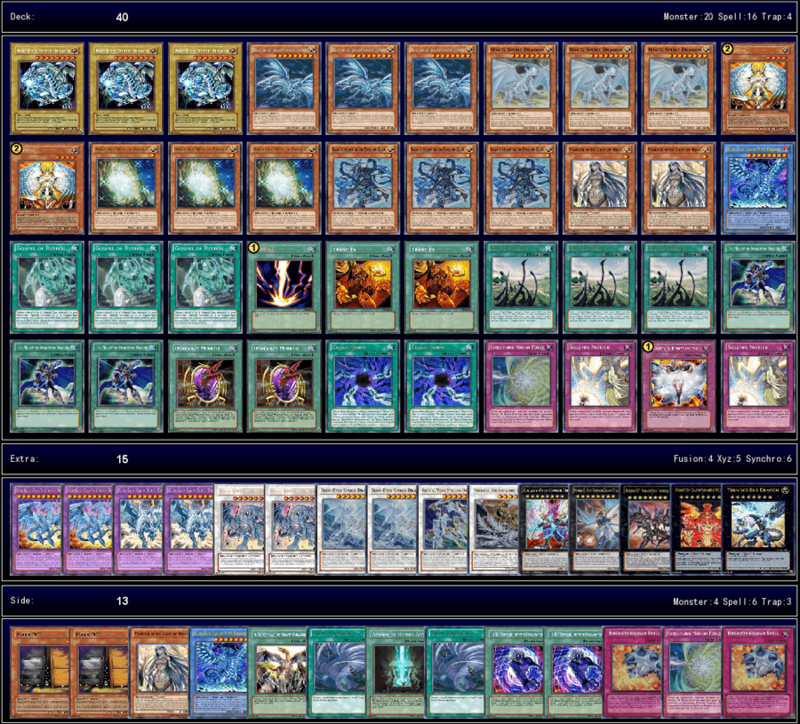 The ultimate machine type deck, Cyber Revolution, submitted under the special DevPro Users category.